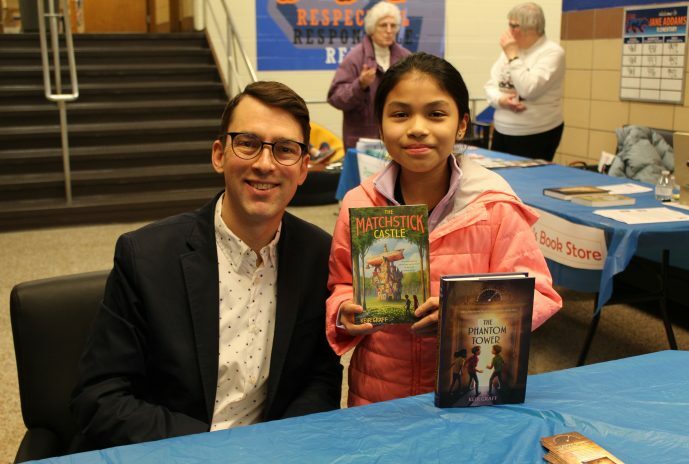 On Wednesday, March 20, 2019, The West Suburban Reading Council partnered with District 89 to bring Author Keir Graff for a special presentation. Families enjoyed hearing about how Mr. Graff came up with the ideas for his books. Students and parents were able to ask direct questions and meet with the author after the presentation. Take a look at additional photos on our Facebook page by clicking here.